Directions: Take St. Rt. 125 from Beechmont towards Bethel. You will enter the Village of Amelia. After the Chapel Road intersection start looking for Church Street on your left. 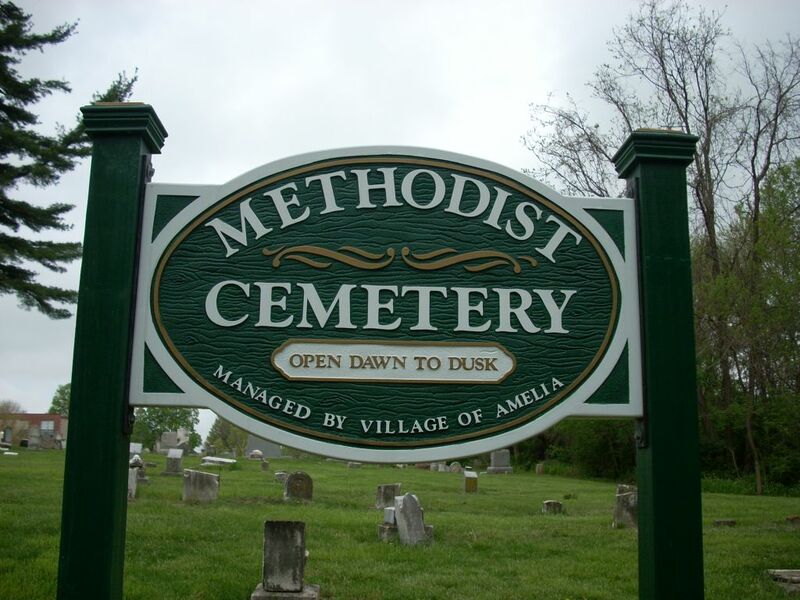 The Cemetery is located behind the Amelia Methodist Church located at Church & Main Streets. Easy parking – easy access. N 39˚ 01.701 W 084˚ 12.927 within 14ft 837 Elev.